Visiting Showcase has become a ritual for me, from the days a number of years ago when a group of bloggers used to meet chat, drink tea, eat cake and generally compare interior design notes to nowadays when I usually just pop in by myself. It’s now become somewhat of a game; I like to visit the Enterprise Zone up on the Balcony which has the Local Enterprise Offices (what used to be the County Enterprise Boards) to see what trends and which Craftspeople I can spot and if I can guess which of them will make it onto the main floor or even onto Creative Island. For the last number of years I have met some wonderful Craftspeople who I have seen on the balcony and who are now and some who have made it to Creative Island more than once. This year was no different and though I only spent a few hours there, I did get a chance to look out for and also chat to and take note of some Craftspeople who were new to the show on the balcony and to those who I’d spoken to in previous years when I had visited. It’s great to hear stories of Craftspeople who though they are still considered Start Ups have broken into markets around the world. And also stories from the balcony from some who have been selling their wares to buyers from far and wide, from small unique craft and specialist shops at home here in Ireland to far away shores of Dubai and New Zealand. Some of those on the Balcony who I’ll be watching out for in the coming years and to keep an eye on are Jean Whitfield who makes her own range of handmade silver jewellery, and Colm Brennan a wood turner who makes amazing one of a kind dramatic pieces one of which was a tall, elegant lighthouse containing more than 2000 individual pieces of timber all hand turned. Also on the balcony was Cian Murphy of Chart Datum who produces three dimensional marine charts of what lies beneath the waters off the coast of Ireland. Among the counties displaying was my home county of Kildare, where I called to see some friends. 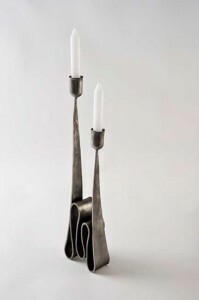 I had met by chance Ken and Trish Greene of KT Metal Designs while visiting the show last year, we shared the bus from the car park to the Main Hall; at the time they mentioned that their dream was to be an exhibitor this year. Since then I have joined the Business Action Group when it formed in June of 2014 and both Ken and Trish are also members of the group, we shared a group stand at the Ideal Home Show last Autumn and the range of metal works which Ken and Trish produce has grown since then, another member of the group also exhibited on the LEO Kildare stand, Amanda Christie Designs. 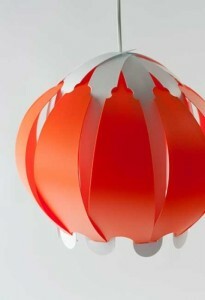 Amanda stocks a range of unique lamp shades in a range of sizes, in a wide variety of fabrics, colours and designs. While there were old friends on the Creative Island, some of whom I caught up with this year and some were so busy with international buyers that I didn’t get a chance to chat. 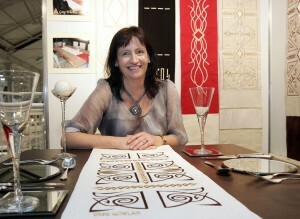 Of those on the Island were Greg and Mary of Irish Linen House, they have expanded their range from where they started with table runners and napkins; embroidered Irish made linen to include framed pomes for special occasions and they have included the addition of Irish made Tweed, included in the new range of table runners and napkin sets and even a new departure for them into bags. Also on Creative Island were others I had met in previous years like Brooke & Shoals, Green Gorgeous, Jerpoint Glass Studio, Scatterpilliar Designs, Slated, and The Handmade Soap Company. 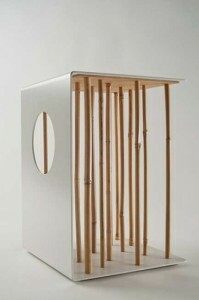 There was also Craftspeople who I had neither met or seen their craft before and the one which I think will be one to watch in the future is Snug; a range of clean, sleek lines in the form of contemporary furniture. Well lent is finally over and all the chocolate lovers can happily munch away on those Easter Eggs. 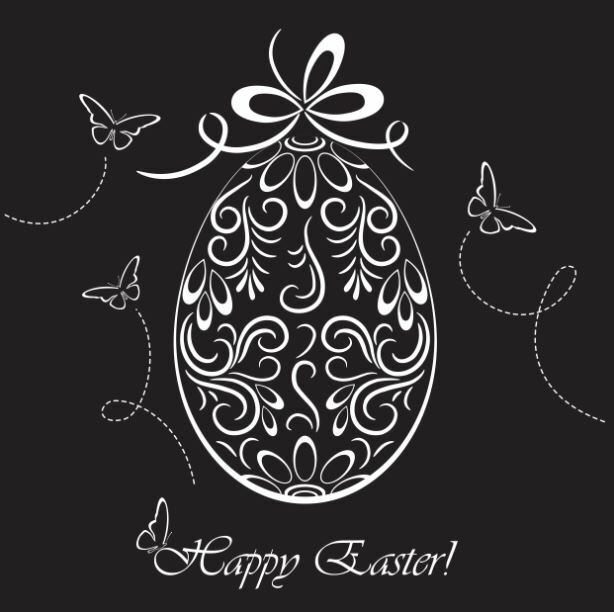 Hope you all have a lovely Eastertime and the sun keeps shining. 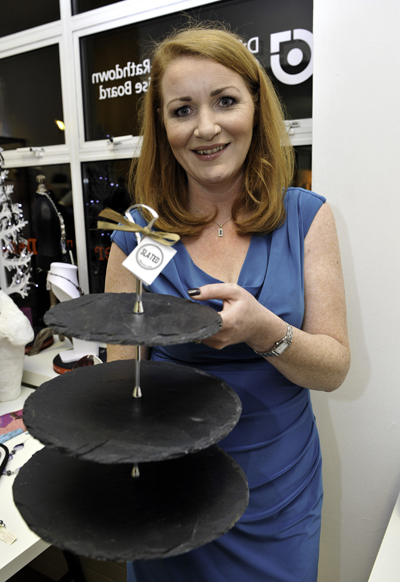 I attended the launch of this years Blog Awards recently which was held at the Glenisk pop up shop on Dawson Street Dublin. The food supplied on the evening was just amazing, from savoury to sweet there was something for everyone, and lots of it. This dish is always a favourite in our house and is quick and easy to make along with being very versatile. Whether it’s a small portion for one or a larger dish for a dinner party and leftovers can also be used. It’s a good recipe for teaching children or a staple for those students starting out on their own. 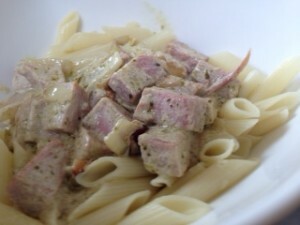 Ham with creamy Glenisk Crèam FraȊche and pesto sauce. This dish is always a favourite in our house and is quick and easy to make along with being very versatile. Whether it’s a small portion for one or a larger dish for a dinner party and leftovers can also be used. It’s a good recipe for teaching children or a staple for those students starting out on their own. Fresh or dried pasta, for dried pasta allow about a cup per person, follow the cooking instructions. Chicken with Creamy Glenisk Crèam FraȊche sauce. Replace the Ham with Chicken. Fresh allow one fillet per person, or use leftovers – or the flesh from the legs which never get eaten. Instead of using pesto add cracked black pepper and two to three handfuls of spinach and allow wilt just before serving. Prawns with Creamy Glenisk Crèam FraȊche sauce. Replace the Ham with fresh King Prawns. Instead of using pesto grind into the pan some fresh chilli after adding the Glenisk Crèam FraȊche, taste to see if it’s hot or mild – as you like it. Replace the pasta with some long grain, brown or basmati rice. 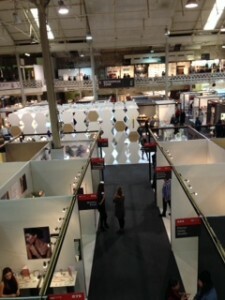 I try to visit Showcase every year and there is always a vast array of good quality products on display, everything from furniture, glass, ceramics, and home wares to jewellery, knitwear and skincare: all or most of which is designed and made here in Ireland. just those with an Irish connection, or with an Irish heritage. 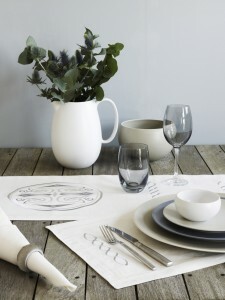 The product range comprises of table runners, placemats and napkins. The product range through its versatility of design takes the market beyond individual homes to the wider home accessory market and gift market and from hospitality to corporate dining suites and embassies. All their table runners placemats and napkins can be personalized with family crests or personal inscriptions and also provide the perfect gift. The Irish Linen House has gone from strength to strength and is now exporting internationally, all over the USA, Canada and South America as well as Europe. Another creative force which I had met in the past were the girls at Klickity, I really like the new products which they have added to the range of products they now design and make. I loved the fruit holder and the small test tube vase. 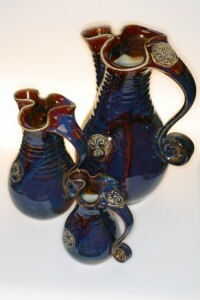 Nicholas Mosse Pottery were launching a new pattern, Clover which contained lovely shades of blue and green. 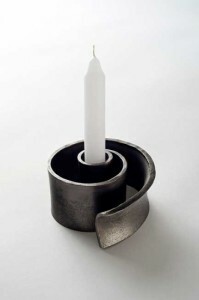 Paddy McCormack works with iron, he designs and manufactures candle holders which come in a range of sizes and styles. Paddy works in his forge; which is based in West Cork every day, he’s dedicated to his craft. 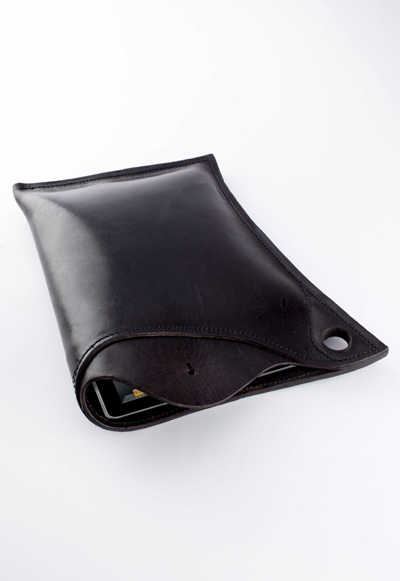 Locker 13 are based in the Malthouse Design Centre, the operation is mainly centred around two designers Shane Wilson and Karl Medcalf thought they do collaborate with other craftspeople. Their stand was manned by a young Italian lady Dora, who is working with them at the moment. 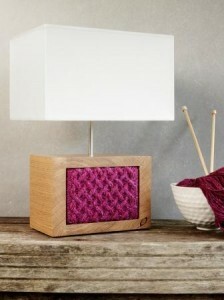 They have a quirky and vibrant range of stock; I particularly liked their Comfort Lamp, they also make a Comfort Jug. Another item I particularly liked was a handheld blackboard which comes with its own white/chalk pencil; it is about the same size as the iPad and so is right on trend at the moment. Potter Colm De Ris was exhibiting on the Creative Island again this year, I really liked his creations last year and I can say the same again this year. I didn’t get a chance to speak with Colm or his parents who man his stand with him this year as I was limited for time this year when compared to previous years when I have visited Showcase. Candles were featured on the Creative Island also two craftspeople were displaying candles the first I spoke to was Alison from Brooke & Shoals who are based in Wicklow and the second was from County Down: a business called Bog Standard whose range includes candles, scented sachets, soaps and creams along with scented fresheners. 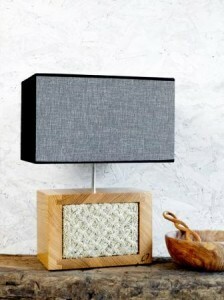 I did predict last year that I saw great potential in the designs of Cillian Johnston and how right I was, last year he was located in the Enterprise Zone upstairs with his range of lamps which combine timber and Aran knit inserts. 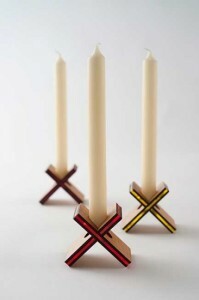 This year there he was on the Creative Island with a new and larger range of products which include designs in the area of hooks which are based on his previous designs featuring timber and knitted elements. 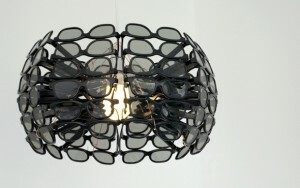 Not only that but the new range includes; fun and funky fabric which is made into cushions and also matching lamp shades. I really wanted to speak with Pauline McLynn but she had a que of people lined up to speak with her so I headed off up to the Enterprise Zone (this section is included in Showcase part 2) when I returned downstairs the que had subsided somewhat and I joined the one woman ahead of me. Pauline was really in selling mode. Well Pauline being Pauline before long all four of us were chatting; like old friends, the English gentleman who was acquiring some of the knitted tea cosies designed and hand finished by Pauline was unaware of who she was and the whole concept behind “The Go On! Tea Company”. As it turned out the gentleman was the owner of a tableware company in the UK called “Plate Tableware”, based in Fulham and as it turned out Pauline knew the area. It really is such a small world after all. 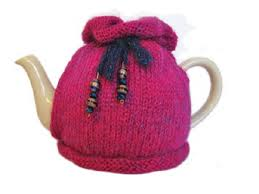 Pauline sources all the wool used in the designs from Donegal and she designs the colourways: she then has a small army of ladies in Lucan who knit the Go On! 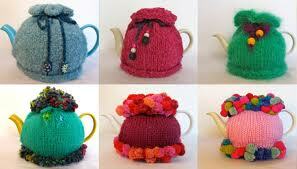 Tea cosies and she hand finishes and embellishes each one herself. While chatting with Pauline I received the phone call from my son to say he was ready to be picked up and so time had caught up with me and that was the end of my visit this year to Showcase. During the conversion with Barry Seaman from Plate Tableware he mentioned that he attends a different show each year, apart from being located so near to the design centre in London. In recent times visiting Sweden and Paris but this was his first time to Showcase and he was impressed by the quality and range of products on display from the Irish craftspeople taking part in Showcase. Good quality design will always find a market and I was really inspired by this year’s Showcase. Watch out for Part 2 which will cover the Enterprise Zone. I recently discovered Polyvore, it’s where you can design and put together your own mood boards. 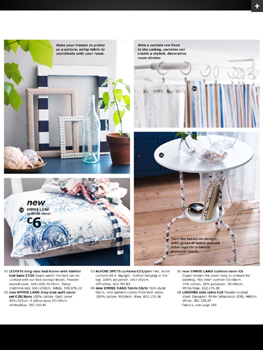 Though it is mostly based around fashion and accessories it is possible to create mood boards for interior design. 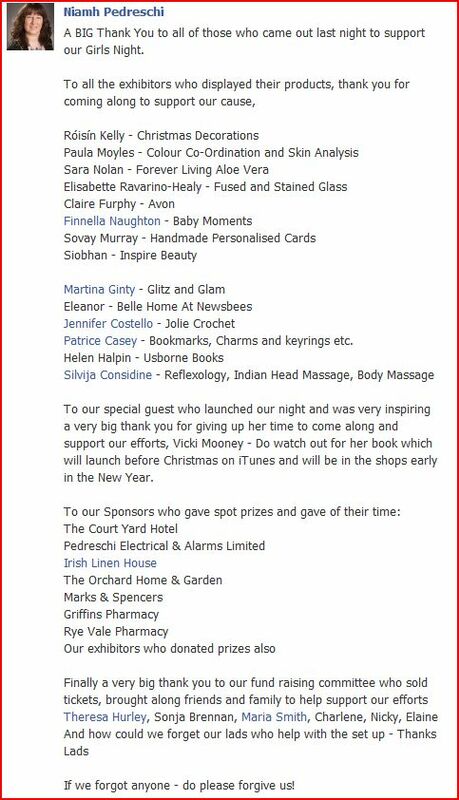 I recently took part in a fundraising event, a Girls Night in aid of our local kickboxing club here in Leixlip, Bushido Martial Arts. I’m putting this Thank You on my blog here as some of those who donated prizes for the raffle and spot prizes are from the craft community and I’d like to acknowledge their support at this time. For the best part the event was organised through Facebook and I have included our Thank You post here. I’d like to give a special thanks to Mary & Greg Whelan from Irish Linen House for the lovely gift of their Christmas Table Runner. 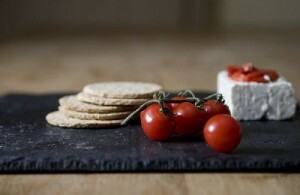 I have mentioned Greg and Mary here before as I first met them a number of years ago when they first launched their range of table ware at Showcase and it’s wonderful to see how they have grown and flourished in the meantime. 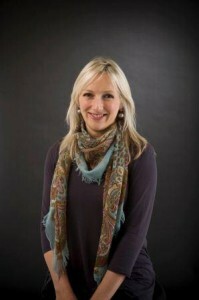 Their range can be viewed online and are stocked as far a field as Canada and the US, as well as here in Ireland. 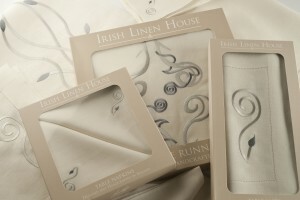 For more information check the website Irish Linen House. 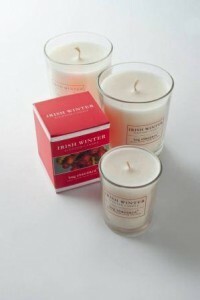 If you are buying gifts this holiday season please try to shop local, if you can’t buy local then please buy Irish! 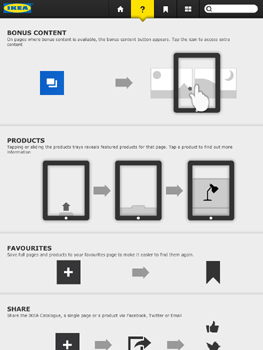 Check out the IKEA App, there are some nice features included. 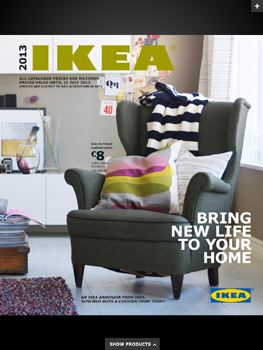 There are a number of brochures included in the App. When downloading the App you pick your Country so the brochure is specific to what is available in your local store. There are brochures within the app for different departments like Kitchens & Appliances, Wardrobes, Bestå, Bathrooms and even a brochure for Business. Each brochure is downloadable separately. There is also a full catalogue: it is a page by page of the hardcopy but with the additional feature where you can share a page, add to favourites or even share the entire catalogue. Additional content and video is available on some pages. This really brings the app to life. So rather than just seeing the room setting is a still photo each item in the room can give a different perspective as the additional content can be a variety of photos from different angles and even close up pictures of individual items, whether fabrics, cushions or even furniture. 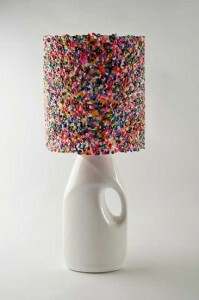 If you have a small craft business and have pictures of your products you really should have an account on Pinterest. 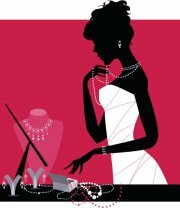 I have a number of small business interests and hobbies and have a pinterest account, I have set up different boards for each website and other categories and areas of interest. Its a great way to share photos and others can like and share your photos also and your website gets credited by creating a link back to the source of the photo. So find me on Pinterest and see my pictures. 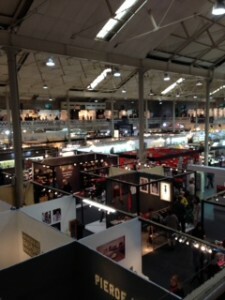 Showcase was held in the RDS Dublin from Sunday last 22nd January ran up to 25th January. The show was officially opened by the President of Ireland, Michael D. Higgins. I have in the past met up with some friends from the blogging world and also met old friends but this year they all had other plans and I was there on my own. I thoroughly enjoyed my day and yes I was there all day, but I could have returned a second day to get to chat with all the craftspeople that were there displaying the craft items which the make and produce. I caught up with some craftspeople that I had met with in past years and also met some craftspeople for the first time. Like my visit last year I also met some craftspeople who were exhibiting for the first time, these were representing some the local County Enterprise Boards and were located up on the balcony. During the day I made my way to the press room/media lounge and told them that I blog, I was welcomed into the media lounge and the staff there had tea, coffee, sandwiches and biscuits on hand as well as a seat and time to catch a few minutes to put together a list of the exhibitors I had spoken to as I made my way around the show. The staff then took my list and forwarded me some promo photos for use in the blog. So all in all it was a day well spent. The craftspeople I spoke to on the day included Tara Hammond of Slated, Pat Lawless from Lawless Furniture, Cillìan Johnston of Cillìan Johnston Furniture, Gary Marcham from Goose Island Workshop and Bog Buddies, Imelda and Matt of Matt Jones Woodturner; all of these craftspeople were in the Enterprise Zone on the balcony and supported by their local Enterprise Boards. I was impressed with the quality of the woodturning which was carried out by Matt Jones, in particular I liked the “Keepsake Rattles”. While chatting to Imelda I asked if I could photograph a stool which was on display, Imelda mentioned that the Nationwide crew had been in earlier and Mary had sat on the stool. It was featured on Nationwide the following week. This is a new business and is very much a family business, based in Sligo - with Matt carrying out the creative part of the business and Imelda dealing with the marketing, where her passion is visible is just chatting with her. This is one to watch and I can see great things happening with this couple in the next year, they might even make it to the Creative Island. 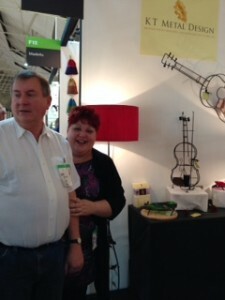 Also on the Balcony was Cillìan Johnston of Cillìan Johnston Furniture who was displaying his range of lamps. 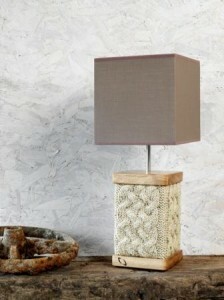 The lamps are Contemporary Irish in design, incorporating Irish Oak and woollen knitted sleeve in Aran Cable stitches just like Aran Jumpers, Aran Beag is the name of this range of lamps. 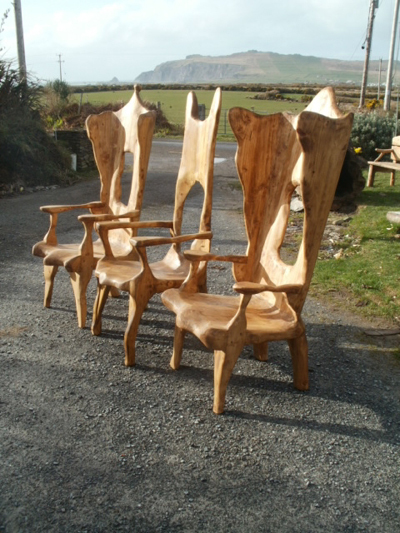 Lawless Furniture are based in Kerry, the styles are contemporary and I was given an insight into how the furniture is crafted by Pat, who mentioned that his company is the most westerly furniture maker in Europe. Pat also mentioned that the company take part in music festivals around Ireland and the UK where they give demonstrations during the festival on making furniture. Another Kerry based craftsman is Gary Marcham from Goose Island Workshop, who uses green timber in the manufacture of his Windsor stools and chairs. The chairs though of a similar design and style all looked as though they had their own personality. I’d love one of those chairs in my bedroom, I could picture it draped in a lovely woollen blanket or throw. I also caught up with some old friends who were located on Creative Island and met some craftspeople for the first time: Greg and Mary Whelan of Irish Linen House, Garvan De Bruir of De Bruir, Donagh Quigley of The Handmade Soap Company, Liz Fingleton and Kate Cronin of Klickity. 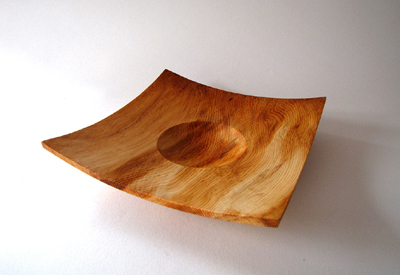 Another craftsperson who impressed me was Richard Heffernan at Little Red Woodworks. Greg and Mary of the Irish Linen House have had an amazing last twelve months; I spoke to them last year when they were a newly formed business. What a difference twelve months can make, they had been on trade missions with their Irish Linen tableware to the United States. The designs are embroidered onto Irish Linen with patterns drawn from Celtic Folklore though Greg now also has a range of contemporary designs in a range of colours. 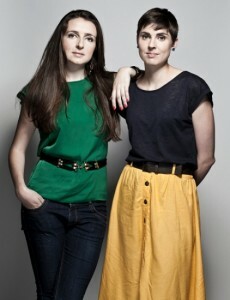 Liz Fingleton and Kate Cronin of Klickity were another business that I wanted to catch up with again this year. Their designs have something for every budget. 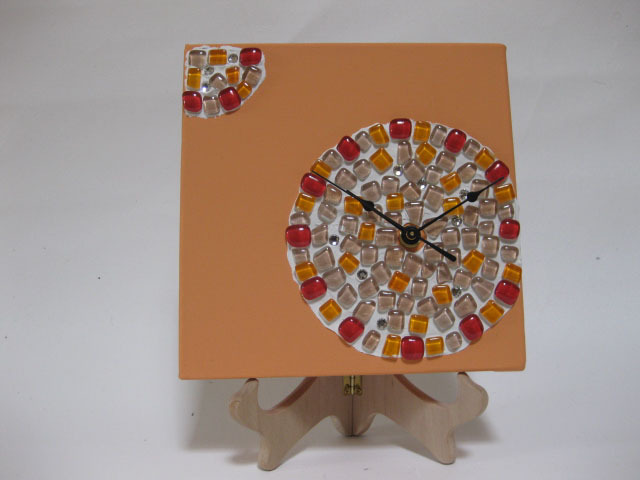 Designs range from Light fittings to clocks and even cardboard picture frames which you can customise. Richard Heffernan at Little Red Woodworks had the most amazing sculptures on display, with materials used incorporating metals and timber. He mentioned that his break came about as a result of some of his shelving being in the background of a television programme. 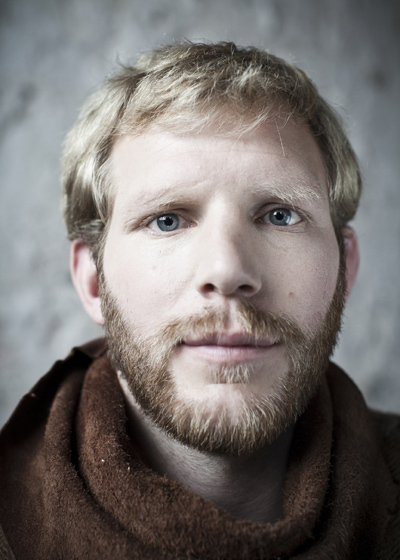 Donagh Quigley of The Handmade Soap Company, was another craftsperson I had spoken with last year. I just love the branding and packaging that brings the range together. Garvan De Bruir of De Bruir, was very inventive this year with a secret panel in this exhibition space where he could pop in to eat his lunch and store his personal belongings. I know Garvan for a few years now and he invited me along to visit his workshop in Kildare which is not too far from where I’m based. So that is something that I’m planning to do before next year’s Showcase. 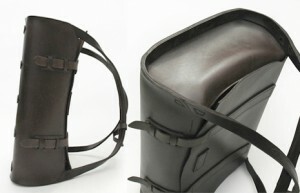 Garvan was displaying his range of leather work this year. 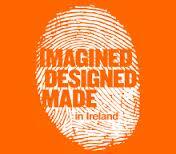 Also on Creative Island was a potter, Colm De Rìs Irish Pottery. I was drawn to this stand and met with Colm’s parents who were manning the stand and I returned later to chat with Colm. 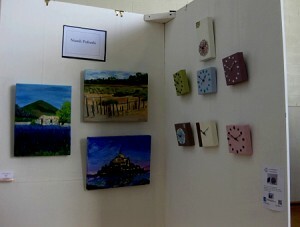 The range of work on display was very eye catching. The range was a mix of Green and Blue high gloss pottery. 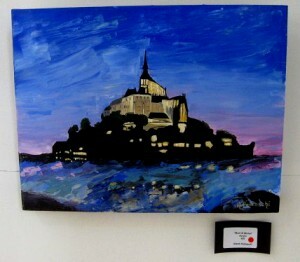 Though Colm did have another piece on display on the Creative Island – he took me to see and touch this piece. 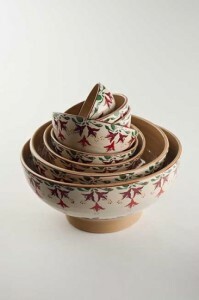 There was something organic about this piece; called Solstice Flow Bowl, it was a piece of art as well as a functional piece. A more experienced and well travelled craftsperson was Cyril Cullen www.cyrilcullen.wordpress.com Cyril joined the conversation with Colm and had a brought along a book to show Colm. 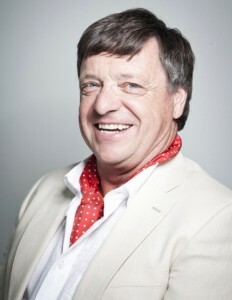 The book was researched by his daughter Margot and traces his life and work as a designer of knitwear the book is called Knot Sure – The life and work of Irish Fashion Designer, Cyril Cullen. A proud father Cyril showed us photos from within the pages of projects he had worked on one of which was based in Africa. Cyril also has a range of Porcelain. There was a obvious respect for Cyril by Colm who mentioned that he was a great Irish craftsman. 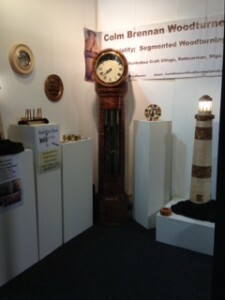 I could have spend a second day to speak to other inspirational craftspeople by time caught up with me. IKEA launch new Bedroom sets, for Happy Customers. IKEA launched a new range of bedroom sets recently and I was invited along to the launch along with members of the press. 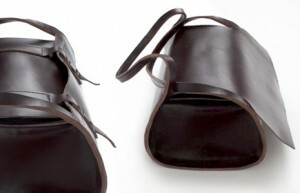 Michiko is based in Sweden and is influenced by the openness and nature. Having been to Sweden back in the 80’s I could see exactly where she was coming from. Having grown up in the large city of Tokyo and now living in Sweden, Michiko has married the Japanese and Swedish traditions into her designs. Simple shapes and forms with subtle colour and pattern. IKEA were launching their new bedroom room sets. Following some consumer interaction and surveys/feedback they have updated the room settings from the standard layout of room sets across their new stores to one which suits consumers in the local region. Room sets suit a range of homeowners whether singles, young couples, families or older couples. The sets also show how each person is an individual and rather than have all bedrooms looking symmetrical the way most bedrooms are, IKEA have some rooms with different types of lockers and bookshelves for each occupant. 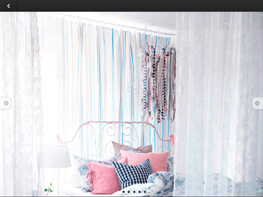 So whether you have an alcove in the bedroom or a chimney breast or even a large bay window IKEA have thought of how you can make the most of the space you have in your home to have a comfortable bedroom no matter how you use the space. What a hectic few weeks of summer I’ve had, here is the run down. After the exams in July we (@ Eco Appz) released the app Eco-Bulbz on the Android Market, it was long awaited and Cathal at Apperrific did a great job. This was followed by the launch evening or Big Bang event at Website Extraordinaire which I attended at the Athy Community Enterprise Centre. It was a great night; this web design business which is owned by Beatrice Whelan was launched by Joan Mulvihill, CEO of the Irish Internet Association. 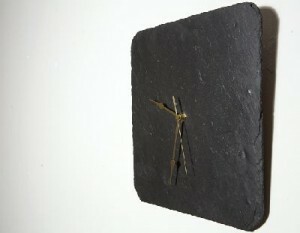 It was a while since I had made any clocks – but I had made one as a gift for Beatrice. I had a chance to catch up with old friends who attended on the evening. For pictures follow this link. 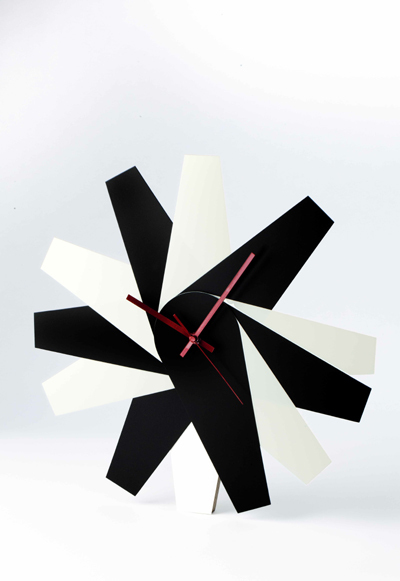 The title of this one of a kind time piece is Extraordinary Time. Following this I attended the KLCK Bloggers Network which is held on Mondays and I normally miss it due to being in College late on a Monday. The presentation on the night was given by Tommy Collison of the Blog “Trust Tommy”. http://trusttommy.com/ Though the topic was from the point of view of Youth Blogging, I enjoyed Tommy’s insights into blogging and how it is influencing his career choice, opened doors for him and has lead him to an Internship at the Sunday Business Post. He was working alongside some helpful Journalists, for more information see his blog post on the subject. Tommy mentioned that the divide in news is being blurred and bloggers are now on a similar footing to journalists. Tommy was right as the next day I attended a press event at IKEA, I was the only one who attended that was not working in mainstream journalism – but as a blogger. Another post will follow on the day I spent at IKEA. I’m looking forward to the next event hosted by KLCK, once I’m not in college on the evening. Eco Appz was shortlisted for an award at the Irish Internet Association Dot ie Net Visionary Awards, the category is for Rookies and the competition is tough. The Rookie category is being sponsored by Accreate and the Rookies are their guests on the night, I must say I’m really looking forward to it. I haven’t been to an awards ceremony since the RECI Contractor of the Year back in March 2008, when we (Pedreschi Electrical & Alarms Ltd) took the prize for Contractor of the Year Dublin Region. Apps to change the world around us. Whether you use apps for games, to keep up to date with news and current affairs or for design inspiration the number of apps to choose from on the App Store or indeed the Android Market are growing by the day. I did a guest post on the subject a few months ago for Lorna over at Garrendenny Lane where I suggested a few design apps which I use, here is the link to that article. You may or may not be aware that I have developed the first of a range of apps, working alongside Apperrific. The first app is called Eco-Bulbz and though it has been available on the App Store for some time is has only just been released on the Android Market. This was the second year that the art exhibition entitled Art Attacks Balgaddy was held at Archbishop Ryan National School in Lucan Co. Dublin. A great weekend was had by all, from the time that we hung our paintings and organised the craft stands on Thursday evening right through to Sunday afternoon when the buyers collected their purchases. The staff and organisers are to be commended yet again on a wonderful event which was very well run. 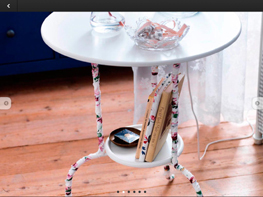 Just added to the blogroll is La Touche Furnishings who are based in Kikcullen and have an amazing range of furniture. Of course regular visitors to my blog will know that I have a soft spot for everything French and at La Touche they have a whole section dedicated to French furniture, so the pictures below are just a small selection of what is on offer at La Touche. 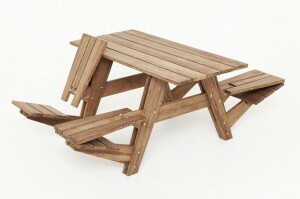 Great design of a picnic table for those summer days outside. 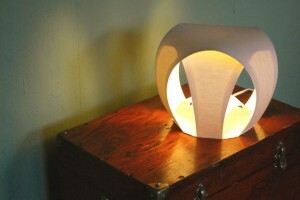 Energy saving light bulb is a design winner. 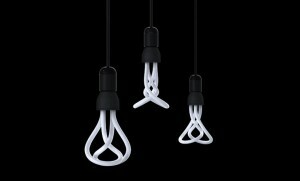 An energy saving bulb has just been announced the winner of a design award, Hulger and Samuel Wilkinson won the Brit Insurance Design of the Year 2011. 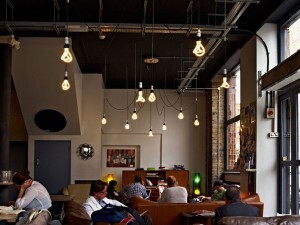 As can be seen from the photos below (which are copy write Hulger) www.hulger.com the bulbs are there to be seen and not covered up. The bulb is called the Pulmen. Benefit from Eco Bulbz Basic version. 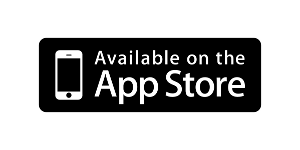 Eco Appz have made a Basic version of Eco Bulbz available on iTunes. It’s Free to download for the next few weeks, then you’ll have to pay 79c. So do download it, it works on iPhone, iPod Touch and iPad. 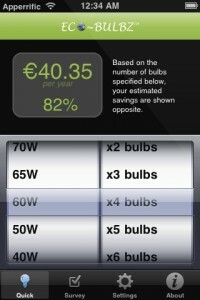 It allows you see the benefits of replacing your normal light bulbs with energy saving bulbs. 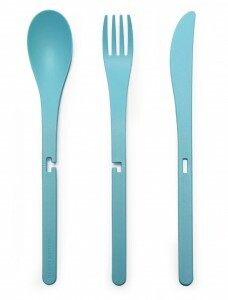 Cutlery need not be boring! 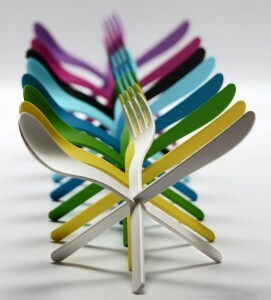 As you can see from the photos below - cutlery need not be boring, but it can be used as part of the overall look of the table. 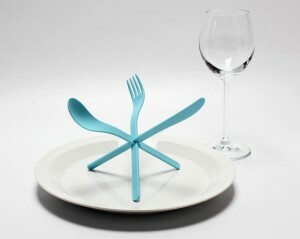 Whether in terms of colour of just sculpturally these items can give a lift to any table setting. I visited Showcase recently at the RDS in Dublin and spent the best part of the afternoon chatting to the craftspeople who were exhibiting. I had arrived earlier in the day and had tea and a good catch up with Lorna from Garrendenny Lane. Meeting at Showcase is becoming a regular event for both Lorna and myself, last year a group of bloggers met – but this year it was just the two of us, as events beyond our control meant the Paula from Mabel & Violet and Angela from Livingroom were not able to make the get together. There were some newly launched enterprises along with more established craftspeople exhibiting and displaying their crafts. Some of my favourites from the show are listed below, they are just a small sample of the vast range of crafts available and on display. 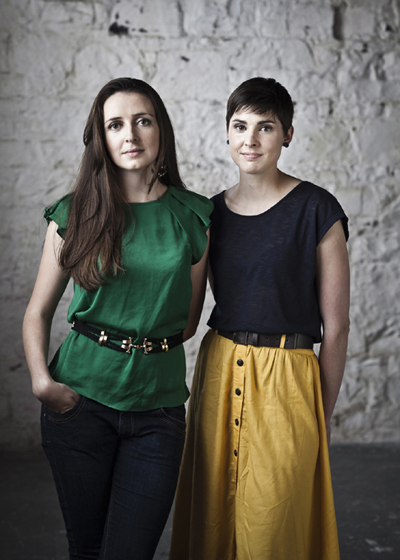 A big feature of the show this year was jewellery, with plenty of variety from Button & Co.
Based in Wicklow, this family business offer a range of handcrafted products made from slate. 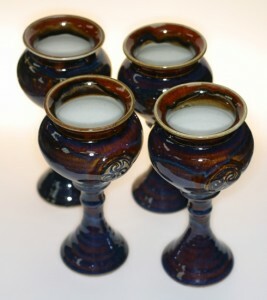 An old favourite of mine, I just love the range of glass and tableware the Jerpoint Glass manufacture. 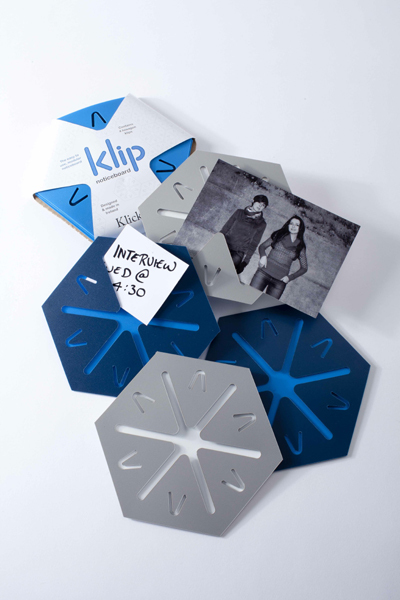 Klickity Design who are based in Dublin were the winners of the Best New Product 2011 award in the Tabletop and Interiors category. I didn’t get a chance to speak to Garvan, each time I passed by his stand he was busy with a que of clients waiting to speak to him. 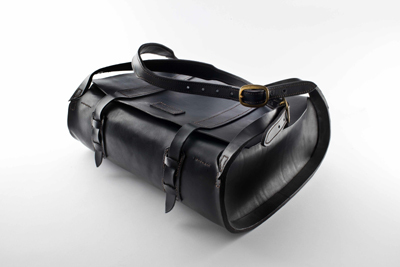 Garvan had a range of his leather work on show. 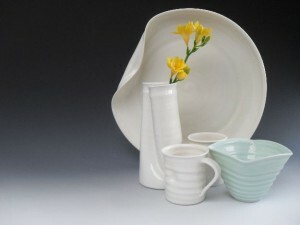 Karen works from her own premises in Kilkenny, her pottery has a simplicity and fluidity to it and was displayed in the current trend setting colours of cream/off white along with pastel shades of blue and green. Greg and Mary Whelan from Irish Linen House, were at the Fingal Enterprise Board catchment area and were displaying a range of individually designed and made table runners. 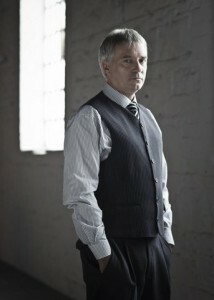 Greg sources all the materials in Ireland, fine Irish linen is the main material used. The patterns and designs are both traditional and contemporary in their style. The balcony was where the County Enterprise Boards had craftspeople from around the country, some of which were start-ups in innovative areas. 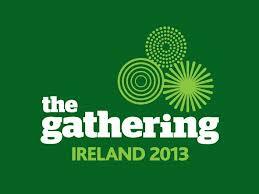 I really enjoyed the show, the Craft industry is thriving in Ireland.